July 11 (Tuesday), St. Petersburg, Sigmund Freud's Dreams Museum - Bolshoy prospekt Petrogradskoy storony, 18A. Beginning at 18:00. Free entrance. Phone: +7 (812) 235-29-29. 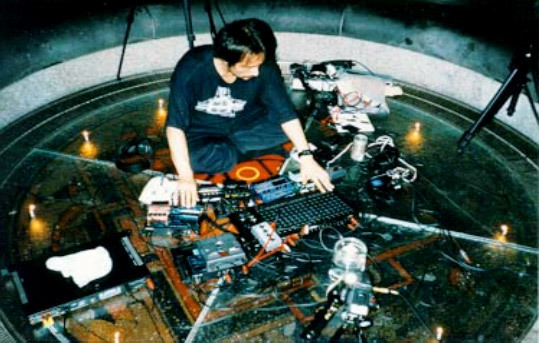 Japanese noise music is a completely unusual and unexplored phenomenon. Many of those who listen to it for the first time can't concentrate their hearing, affirming that this can't be listened in any way and particularly can't be called music. But at the same time the flow of sharp, unwonted and unpleasant for hearing sounds somehow strangely captures and doesn't dismiss - and creates amazing aesthetic effect. Noise is the basic matter of musical composition. Pre-musical chaos, out of which melody and rhythm are born. Citing Masami Akita (Merzbow), noise - is the collective unconsciousness of music. In noise music diametrical opposite principles harmonize in quite paradoxical way: aggressiveness and meditativeness, regularity and randomness, archaisms and contemporaneity, East and West. The action is dedicated to the investigation of this appearance. We will try to combine the un-combinable things: strict scientific approach - and boundless creative fantasy, philosophy - and music, lecture - and performance. The lecture is read by Andrey Emelyanov - candidate of philosophic science, author of several works on musical philosophy, theory and history of musical avant-garde. Musical accompaniment is presented by St. Petersburg-based noise artists KRYPTOGEN RUNDFUNK + HLADNA + BARDOSENETICCUBE.